This post was written by an extraordinary woman who passed away only days ago. Lynn spent the last phase of her life fighting to ensure that mothers, fathers, siblings and family members would never suffer the devastation of losing a child to a disease called meningitis. Many parents are now aware of this disease, and that is in large part due to the tireless advocacy and educational efforts of Lynn, and the many families who support the work of the National Meningitis Association. 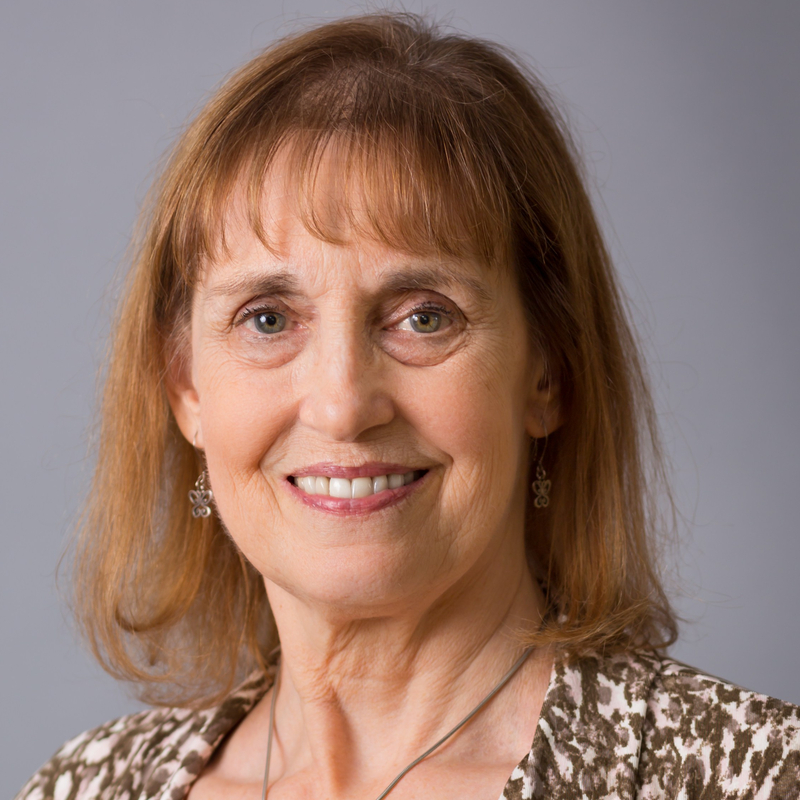 The entire vaccine community will miss you dearly Lynn. Every Child By Two promises to remain steadfast in our shared goal to save others from this terrible disease. As a parent, it’s no surprise that the busy lives of teenagers can leave little wiggle room between school schedules, homework, and numerous extra-curricular activities. It’s hard to believe we’re already only a few weeks away from Thanksgiving break. Those off days from school are the perfect time to check in with your child’s healthcare provider to make sure they’ve received all recommended vaccines to prevent against deadly diseases – including meningococcal disease. In 1998, I lost my son Evan Bozof to meningococcal disease – commonly referred to as bacterial meningitis. Evan was a vibrant, healthy teenage athlete, but within a month my husband and I watched this terrible disease attack every part of Evan’s body and ultimately take his life. No one had ever told me that there was a vaccine available that might have prevented it. Ever since then, I’ve made it my mission to spread awareness of bacterial meningitis and encourage parents to get their children vaccinated. As we head into the colder months, here is everything you should know about this disease and the vaccines available to prevent it. 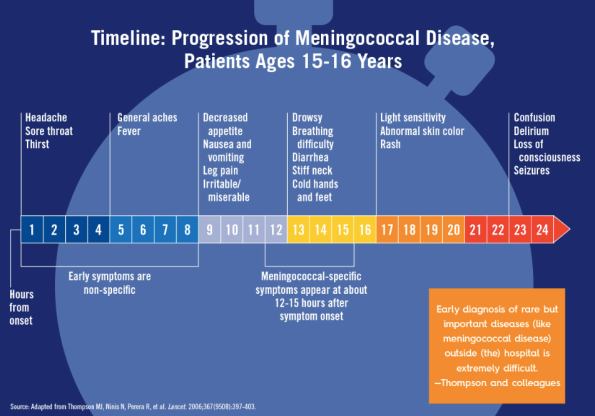 Meningococcal disease is a rare but potentially deadly bacterial infection involving the inflammation of the membranes (meninges) surrounding the brain and spinal cord. The disease strikes quickly and can lead to devastating complications if your teen has not been fully vaccinated. Of those who contract meningococcal disease, 10 to 15 percent die from it. Among those who survive, as many as 20 percent live with permanent disabilities, such as brain damage, hearing loss, loss of kidney function or limb amputations. Vaccinations offer the best protection against meningococcal disease. Meningococcal disease is often misdiagnosed, as early symptoms resemble those of other illnesses such as the flu. They may include sudden high fever, headache, nausea, vomiting and exhaustion, and can progress into sensitivity to light, abnormal skin color or rash, with the most extreme symptoms being confusion, delirium or loss of consciousness. Symptoms of meningitis advance incredibly quickly. Within 24 hours, patients can go from being entirely healthy to near death. There are two vaccines available to prevent against the five major strains of bacteria (A, C, W, Y and B)that cause meningococcal disease. The MenACWY vaccine protects against four strains, while the MenB vaccine protects against the fifth. 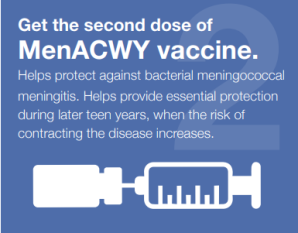 The Centers for Disease Control and Prevention (CDC) recommends the MenACWY vaccine to all adolescents at age 11-12, with a booster at age 16. The MenB vaccine was recommended for permissive (aka Category B) use among those age 16-23 – with preferred vaccination between 16 and 18 – by the CDC in 2015. Older adolescents and young adults can decide, in collaboration with their doctors, whether they’d like to receive the MenB vaccine. Nearly every insurance plan covers the MenACWY and MenB vaccines, and adolescents without insurance can get vaccinated at little to no cost. The NMA believes that all adolescents should be vaccinated against meningitis B, as it is the strain most commonly linked to outbreaks on college campuses. Vaccination is always the best method of meningitis prevention. For a full list of those recommended by the CDC for meningococcal vaccination, please visit the CDC website. Meningitis is a rare disease, but once it strikes it can prove deadly within a matter of hours. Teens and young adults are the group most at risk because they often live in close quarters – like a dormitory – and tend to share beverages more often than adults or young children. 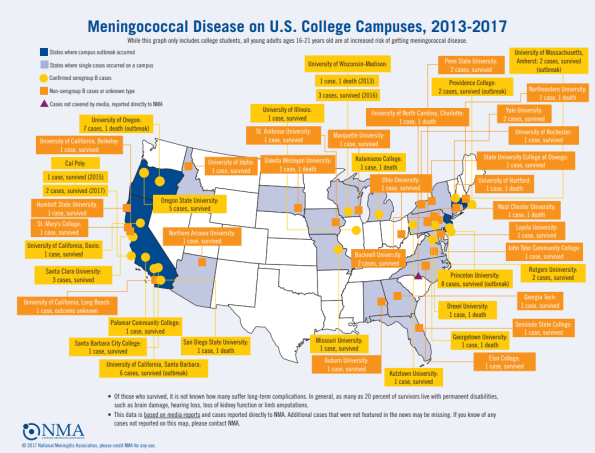 In the winter of 2016, three cases of meningitis occurred at the University of Santa Clara. The year before, the University of Oregon experienced a six-month meningitis outbreak that infected seven students and left one dead. Increasingly, colleges have begun mandating that students receive the second dose of the MenACWY vaccine – as well as the MenB vaccine – prior to matriculation. The NMA fully supports these efforts and believes that the best path to meningococcal prevention is complete vaccination. About one in ten people carry meningococcal bacteria in their nose or throat without showing any signs or symptoms of the disease. These people can unknowingly transmit the bacteria to others. It’s normal for kids and teens to think they’re invincible and not see the importance of getting vaccinated. Caitlin Brison was a high school senior when her doctor asked at her routine checkup if she wanted to receive the second meningitis vaccine. Not wanting another needle, Caitlin said no. That decision ultimately came back to haunt her. Cases like Caitlin’s serve as a reminder to parents and adolescents to think about the big picture when it comes to vaccination. A small prick in the arm is nothing in comparison to kidney failure, loss of arms or legs, or any of the other debilitating after- effects that survivors of meningitis often must manage for the rest of their lives. Listening to survivors talk about their long and painful paths to recovery illustrates not only the horror of meningitis, but the importance of vaccines as prevention. If I had known that there was a vaccine available to prevent against bacterial meningitis, my son might still be alive today. The NMA continues to advocate for the broadest possible vaccine recommendations from the CDC so that other families don’t have to experience the truly devastating impact of meningococcal disease.